Minimum order is only 3 bottles and the delivery is world wide. WINE WITH MY OWN LABEL. This post is a recommendation for private costumers that want to create their own wine label for events, parties, family and friends. With the Winetastic online tool you can order wines with your own label at prices from €7,9 per bottle. Are you are a private customer and want to have a wine with your own label? Then you have come to the right place. Apart from multi-national companies we also help consumers directly with their own wine brands. We do this together with a Spanish startup that has simplified the task of making a personalised wine. For consumers that want to buy wines with their own label always recommend the following. 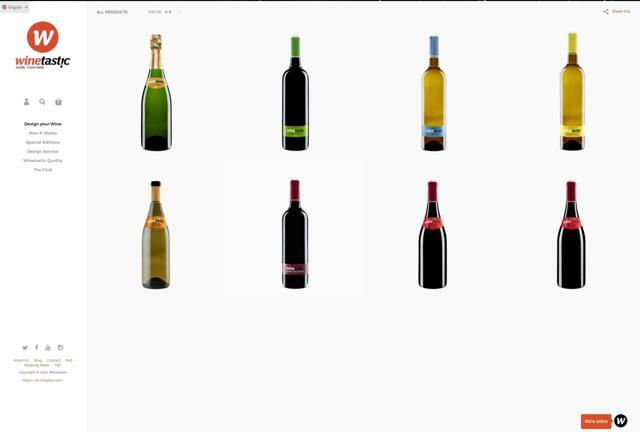 Just visit Winetastic, a fun and easy to use online tool for customising wine labels. Apart from the labels they also have really good wines to select from. How do I get my own wine label? When you press on the button below you will find a range of wines to chose from. When you have selected the wine that you want to use, the tool will guide you in what to do next until the whole label and packaging is exactly as you like it. The minimum order is 3 bottles and prices start at €7,9 per bottle.